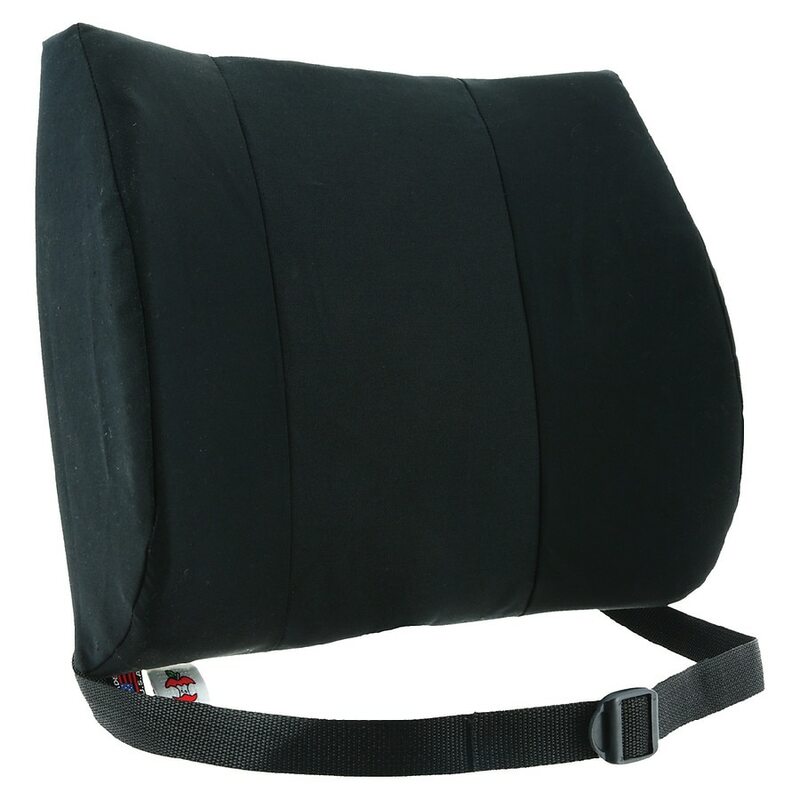 Lumbar Support This popular cushion made from contoured foam with side support wings provides medium to firm support and helps keep you sitting properly. Use at home, office or in your car. Attached positioning belt keeps cushion in place. Available in Blue, Black and Gray. Standard covered in a durable cotton blend. Deluxe option covered with a plush polyester for added comfort. 13" x 14" (33cm x 35.5cm).